 Emilia-Romagna accounts for 14% of Italy’s wine production and is the country’s third largest wine producer. Red wine accounts for about 55% of the region’s production. Emilia-Romagna, as the hyphenated name reveals, consists of two distinct sectors which coincide more or less at the capital of Bologna. To the west lies Emilia, with the prosperous towns of Modena, Reggio, Parma and Piacenza. East of Bologna lies Romagna, with the towns of Faenza, Forlí, Ferrara, Ravenna and the Adriatic resort towns such as Rimini. Emilia-Romagna’s wines might be considered northern Italy’s most unique, and wine enthusiasts have recently showed renewed interest in the region’s offerings. In Emilia the premier wine is Lambrusco, in frothy shades of inky purple to pink, made from grapes traditionally grown on high-trellised vines. 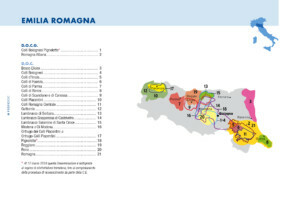 Lambrusco is produced in volume in the four DOC zones, around Modena and Reggio. Most Lambrusco shipped internationally is amabile or off-dry, while most of what is drunk at home is dutifully dry, a perfect complement to the region’s rich cuisine and, in particular, cured meats. Romagna’s wines come primarily from the native Sangiovese, Trebbiano and Albana, the variety that accounted for Italy’s first white DOCG in 1987. The area known as Predappio appears to be emerging as a zone of particular interest for Sangiovese-based wines. The hills south of Imola, Faenza, Forlí, Cesena and Rimini are also known for wines from the native Albana, Sangiovese and Trebbiano, all of which carry the name. https://www.winescholarguild.org/blog/italy-first-white-wine-docg-albana.html Also, page 65 of Wines of Italy Book (published by The Italian Trade Commission).